Rabbi Richard Weiss, MD, received his rabbinic ordination from the Rabbi Isaac Elchanan Theological Seminary of Yeshiva University. He earned his MD degree from Wayne State University School of Medicine and is a licensed physician in the State of New York, having completed an internship in Internal Medicine at Maimonides Medical Center in Brooklyn. He is currently the Rabbi of the Young Israel of Hillcrest in Queens and an adjunct assistant professor of Biology at Stern College for Women of Yeshiva University. He has served as a member of the Geirus Commission of the RCA. In addition, Rabbi Weiss has a special interest in bioethics and, in particular, issues related to end-of-life care and infertility. 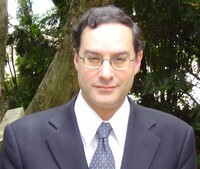 He has lectured frequently on these topics, and has served on a number of bioethics committees. He is a contributing author to Overcoming Infertility: A Guide for Jewish Couples, ed. By Richard V. Grazi, M.D. and published by Toby Press in 2005, as well as the author of Pain Management at the End of Life and the Principle of Double Effect: A Jewish Perspective, to be published in the journal: Cancer Investigation. Rabbi Weiss has also served in the past as a staff physician for the Metropolitan Hospice/Jewish Hospice of Greater New York. Rabbi Weiss does not feel that his interests in both the rabbinate and medicine are that different, noting that "they are both fundamentally people oriented professions which involve establishing and maintaining relationships." Rabbi Weiss is married to Sandy (nee Jubas), and together have one daughter, Kayla Eliana.